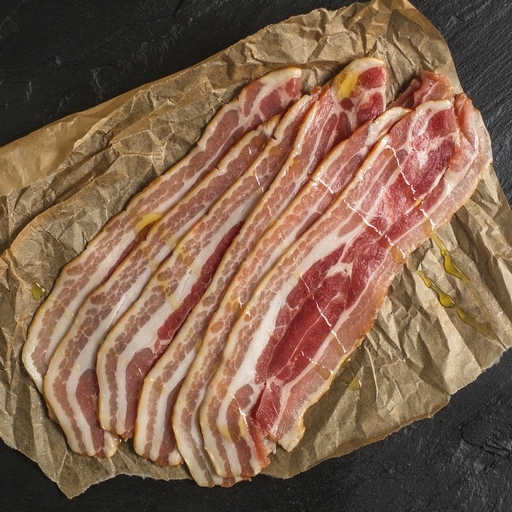 Full-flavoured unsmoked streaky bacon. We use organic Wiltshire pork, dry cured by hand to let its natural sweetness shine through. The result is not too salty, just full of flavour. Brilliant for bringing savoury depth to most dishes – or just the thing for crispy, golden-skinned pigs in blankets, or wrapping around chicken and white fish.